Is Organic Search Engine Optimization really that Difficult? If you are looking into organic search engine optimization, chances are you are already aware of how much more trust users place in these results compared to PPC (pay-per-click) rankings. What you need to know next is that to rank for organic search results is substantially more difficult to obtain than PPC rankings. When researching how to achieve organic search result rankings, you may notice that there is an abundance of articles all telling the same story – research and select your keywords properly, and write high quality content on an ongoing basis. This is good advice as those two aspects are where you will start, but it is theoretical advice at best. It underplays the fact that it can be a challenge to rank organically, given the fact that this will be the approach most businesses are using. Search engines are giving the same advantages to all sites doing these two things, which means it does not exactly give you the edge over the high number of competitors online. Why is Organic Search Engine Optimization Difficult to Achieve? 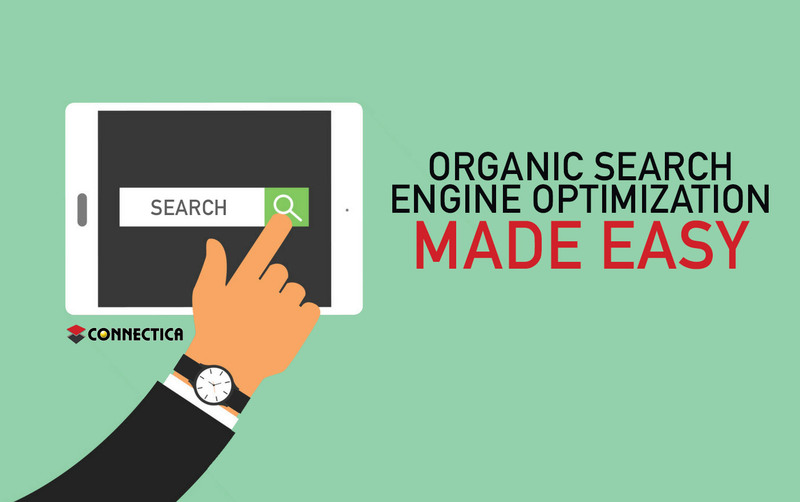 Ranking organically means that you have optimized your site to account for all the elements that search engines consider when deciding how relevant you are to a user query. With all the searches that take place on a daily basis, of which there are many, you need to ensure that you have content that answers questions about your industry. You may do an excellent job of creating relevant content, but it has to appear more valuable to search engine algorithms than all other content being posted. This can be a daunting task given how much SEO content is being uploaded all the time. Search engines have a lot of work to do to index all this content, and you need to find ways of helping your content to be correctly indexed. Before you even begin working on creating the best content with the most relevant keywords, it helps to ensure that you build a website that is found favorable by search engines – your loading time is minimal, your site is responsive, and so on. At the end of the day, organic SEO takes time and effort. How can You Optimize your Organic Ranking? Once you have put in the effort in creating an easily navigated site for potential users, you can focus on how to rank for specific topics. As stated, this comes down to up to date content and well selected keywords. There are so many online businesses that will be in direct competition with you. It is very likely that each similar business will be looking to rank for the same or similar keywords. This makes it necessary to research keywords carefully and look for keywords that are central to your business offering while also appealing to niche topics within your business, and then trying to rank for those instead of more general keywords. This kind of means that you need to consider how you create your content, which is addressed next. Choosing keywords that will set you apart means studying how keywords from your competitors are faring in search results, and which keywords are already ranking to sites that don’t offer services but are info-centric, like academic and health organizations. You don’t want to be competing for rank with these types of sites. They are appealing to users looking for information, not offerings. Selecting keywords is about finding out what your potential clients are really after. Adding a word to your registered keywords to make it more specific to your business offerings is essential. It will require that you set aside some time to understand and analyze the performance of your keywords, and constantly look for ways to improve your selection. Your content should be created with your keywords in mind, once you have made informed keyword selections. Well-chosen keywords will give the content you create more focus and direction. Where it is important to keep your site updated and active with fresh content, you also want to ensure that your content draws the attention and traffic of users that will lead to conversions. If a user is only looking for information and they end up on your page that is clearly selling something, they won’t stay long, and bounce rates are not good for your rankings. Rather link to sites with useful and relevant content while keeping your content focused more on what you offer. From one angle, organic results are not entirely in your control as search engines decide what content best responds to a user’s query. The way to control the “uncontrollable” is to make sure that you post the most up to date content for all areas and topics related to your business. Get in touch with your potential clients; do some research on what sorts of queries they are submitting through search engines. Appeal to users by remembering that you are not speaking to another expert in your field. Users want professional information put to them at their level of understanding. When it comes to the loading time of your page, a slower loading time very often leads to a higher bounce rate. Users always prefer sites that load quickly and are highly responsive. Which means that search engines like Google prefer responsive, fast loading sites as well. Bounce rates register you on a search engine’s radar as less useful to online users. This factors in to their algorithms that rate you for ranking. It figures, then, that responsive and fast loading pages will recommend you to search engines and lead to higher organic ranking. Your site will rank better organically if you have a healthy system of backlinks in place. These can be achieved several ways, but essentially means having other sites and articles link to content on your site. If you are generating professional content that establishes you as an expert in your field, then it is not unlikely that another site (such as a blog or journalistic site) will link to a page from your site as a way of substantiating their own points. You can attempt to upsell yourself to such sites, or you can choose to make use of an SEO company to generate articles for these sites that backlink to you. Backlinks are to be managed carefully though, you don’t want to over “farm” this useful tactic. It needs to be apparent to Google that you have a trusted voice on your subject matter that is useful and valuable to sources outside of your own website. When pages from your site are used as links in pages outside of your own site, Google sees this as a credit to your content and factors it in to how capable you are of offering professional responses to the queries of people searching the web, and this leads to an organic higher ranking. This makes backlinks a very important step in improving your SEO worth to search engines and organic results. Given that you cannot control the content of other pages and what links they choose to use (there are so many pages of information on the web for content creators to sift through when choosing their links), it makes good sense to employ a professional SEO company to assist with generating these backlinks to your pages. How can an SEO Expert help Optimize your Site for Organic Results? So far, the concept seems simple enough. You have the task of picking keywords and writing content, both with a little effort to stay focused. The point at which this becomes difficult, as mentioned is when you consider that this will be quite a mainstream approach. To boost your efforts for noteworthy results requires the ongoing task of checking on how your keywords are doing, researching competitor topics, staying abreast of what affects rankings, and finding the balance of keeping content active and not overcrowding your site. If you consider that SEO is simply new age marketing, and that organic SEO gives you the edge of targeting a more likely audience for business conversion, then you can’t ignore the fact that marketing has always been an area for investment. Businesses have always either had a department for this or outsourced it to businesses that specialized in this. Making a mark – and money – depends on finding the most industrious route from you to your future client. The fact that this route happens online means you need to employ knowledge of meta data and analytics, as well as updates and algorithms. These types of skills are mostly external to your business knowledge. It wouldn’t make sense to suddenly expect your team to spend time developing these skills, as it would detract from the time and energy they have to become the best at what your business does. Improving your organic ranking is a long-term investment. This means that you need to know what will work, before you can see it working.